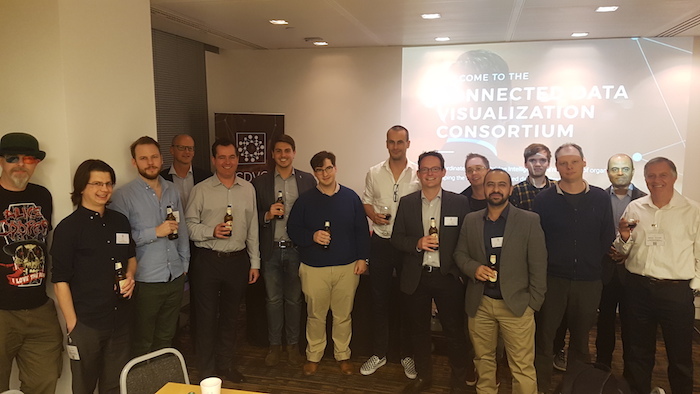 This month we hosted Connected Data Visualization Consortium (CDVC) events in Tel Aviv and London. CDVC brings together leading graph visualization specialists to share experiences and best practice, and discuss emerging data visualization trends. Launched in London in 2017, the meetings have gone from strength to strength and now take place in three continents – North America, Asia and Europe. For the first time, we hosted a meeting in San Francisco earlier this year and in Tel Aviv this month. Our footprint isn’t the only thing we’ve expanded. Following feedback from attendees in San Francisco, we’ve added a day of KeyLines training to the program. This gives developers an opportunity to work with and learn from the people who create KeyLines. We had great turnouts at this month’s meetings in Tel Aviv and London. From start-ups to multinational organizations and governments, the meetings attracted a range of graph visualization professionals. Members were encouraged to speak openly about their deployments, successes and challenges. The use cases presented included social network analysis, cyber security and data compliance. 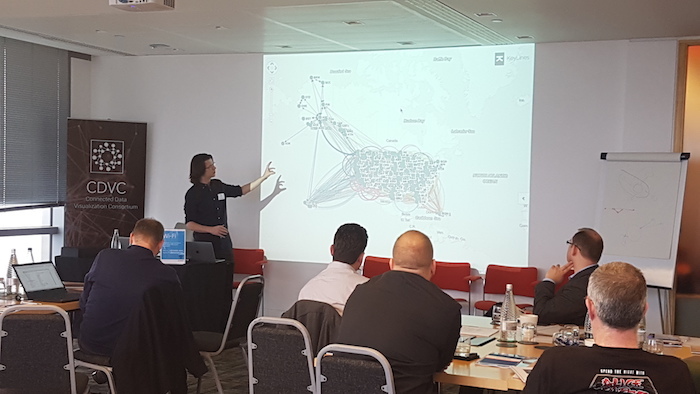 The KeyLines team also ran technical sessions on KeyLines geospatial, combos and layouts, and graph visualization best practice. It was encouraging to see so many graph visualization enthusiasts come together to discuss ideas, give support and advice, and share strategies across different industries. Our next meeting is in Washington DC early next year. Join us in shaping the future of connected data visualization: https://connected-data.org.